Today’s Inktober was killing 2 birds with one stone. I’ve been meaning to work on concept art for a collaboration project with a group of talented artists. We’re working on doing a custom deck of cards, more information on that as we get it. 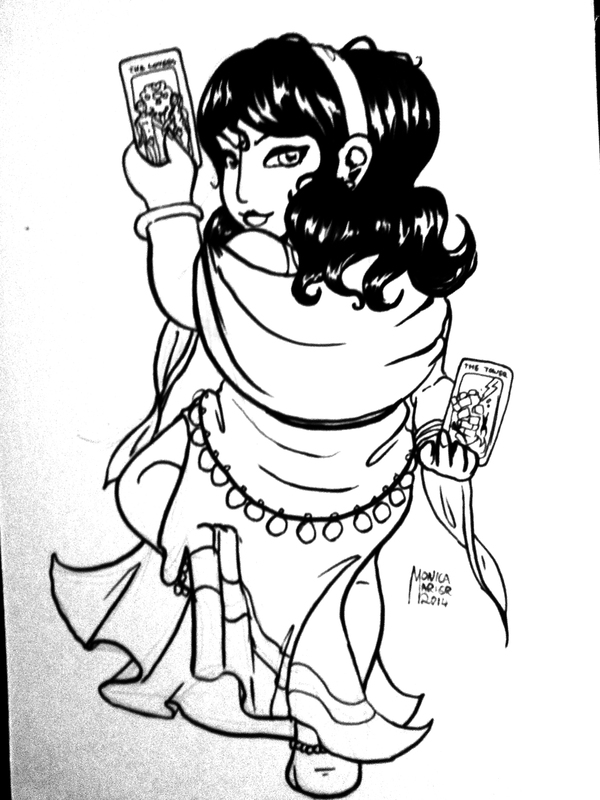 Anyway, this is my idea for the 6 of Spades: the Romany Fortune Teller. I used to dabble with Cartomancy in high school, but I gave it up a while ago. I do like to keep a deck around for story ideas, however, and SOME day, when I have more time and money, I’d like to make a deck of Tarot Cards. Have a good’un everyone. See you tomorrow.